Qatar has simultaneously been championed as a Western ally in the fight against terror and criticized as the Middle East’s chief enabler of radical jihad. It may have found a way to be both, say regional experts. By reportedly paying groups like Al Nusra tens of millions of dollars to win the freedom of hostages, the gulf emirate is playing both ends against the middle and potentially jeopardizing the security of the U.S.-led coalition mission against Islamic State, critics say. They note that last week, 45 Fijian UN peacekeepers, who had been kidnapped while on patrol in the Syrian Golan Heights by the Al Nusra Front, were released unharmed following intervention from Qatar that allegedly included a $20 million payment. While numerous reports trumpeted the ‘White Knight’ role played by Qatar in the affair, a more cynical view from the region was that the nation largely responsible for establishing the Al Qaeda-linked terror group had found a way to give it a big check — while burnishing its image with the West. Lebanon’s Daily Star recently reported that the Qataris sent a delegation to meet face-to-face with both the Al Nusra Front and Islamic State to discuss Lebanese hostages held by those groups, indicating stunning direct contacts with two of the world’s worst terror organizations. “In this era of a global coalition against terrorism, the idea that a country that hosts a U.S. base is having face-to-face meetings with the Al Nusra Front and the Islamic State and relaying their demands is simply mind-boggling,” David Weinberg, an expert on Arabian Gulf affairs at the Foundation for the Defense of Democracies, told FoxNews.com. The Qataris, under pressure from the U.S. and others, had decreased their overt bankrolling of Al Nusra, one of the groups seeking to oust Syrian dictator Bashar Assad in that nation’s spiraling civil war. But in addition to the UN hostages, Qatar also played a role in the release of U.S. journalist Peter Theo Curtis from the terror group’s clutches in August, and in 2013 helped broker the release of an Austrian, a Swiss and two Finnish nationals with a reported eight-figure payment. 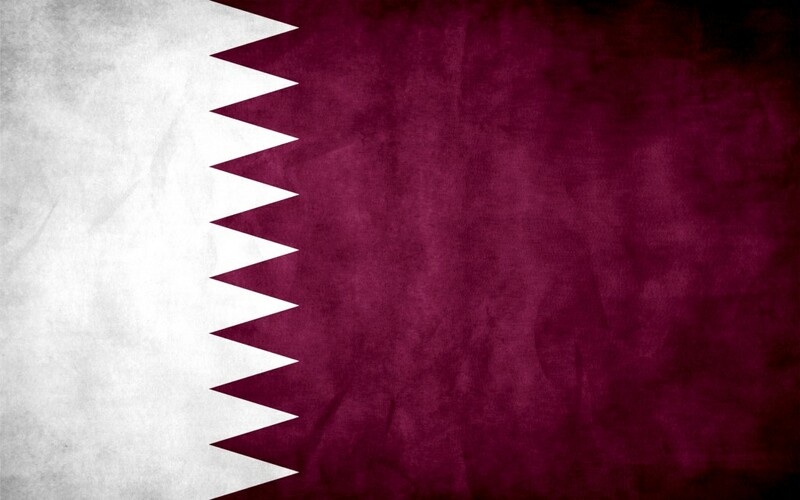 And perhaps most prominently, Qatar helped broker the swap of five Guantanamo Bay detainees for U.S. Army Sgt. Bowe Bergdahl in June, granting safe haven to the released Taliban members. “I find it inconceivable that the terrorist group released [Peter] Curtis without getting some direct or indirect quid pro quo from the Qataris, be it in the form of cash, or benefits on the battlefield,” said Weinberg, who recently gave testimony to Congress on Qatar’s murky role in terror funding. Qatar has been called the world’s principal source of terror funding, bankrolling Hamas in Gaza, the Islamist insurgency in Syria, the Houthi terror organization in Yemen, rebel groups in Libya and the International Muslim Brotherhood. But while some nations in the region see Qatar as meddlesome, the U.S. has praised its cooperation and recently announced an $11 billion arms package that includes supplying the Gulf state with Patriot missiles, Apache helicopters and anti-tank missiles. In return, Qatar will continue to allow the U.S. access to the giant al-Udeid air base. Qatar’s emir, Sheikh Tamim bin Hamad Al-Thani, came to power last year after his father stepped down after two decades amid criticism for allowing the Taliban to open a diplomatic office in the country and for bankrolling the short-lived Muslim Brotherhood government in Egypt. Al-Thani has sought to position Qatar as a mediator, but its staunch support of the Muslim Brotherhood continues to anger Egypt and other nations in the area. In March, Saudi Arabia, Bahrain and the United Arab Emirates recalled their ambassadors from Qatar in protest at its support of a number of radical Islamic groups. Israeli leaders have long called out Qatar as a prime sponsor of international terrorism and asked Western governments to take appropriate action, something that has not yet happened due to, according to some experts, Qatar’s now far-reaching influence on international business and the world of finance. But its shadowy relations with Sunni terror groups around the world are hard to square with its claims to be a broker of peace. Weinberg charged that Qatar is working to undermine the U.S. on another front, as well. The oil-rich nation owns Al Jazeera, and the news network is relentless in its criticism of U.S. ambitions for energy independence, Weinberg notes. Basing its opposition to fracking in the U.S. on environmental concerns is phony, given Qatar’s dominance in the fossil fuel arena, he said.